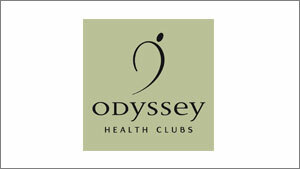 Odyssey Health Club & Spa has a 40-year history of health & fitness in Knebworth, Hertfordshire. Originally part of the Kodak Group in the 1970’s, a succession of owners developed the club with a 25m pool, fitness suite, squash courts and outdoor tennis. RCapital purchased the club from Close Brothers in 2004 and has made significant investment in the facilities and level of offering to members and guests. Predominantly an adult facility, the spa has seen significant growth over recent years and further investment has been made developing these facilities. Alongside the club, the management team also undertaken contracts with underperforming businesses and has seen significant growth and financial improvement. Notable examples are: Wildmoor Spa & Health Club, Gosling Sports Park, Balance Health Club and Chelsea Health Club. The 11-acre site at Knebworth is currently being taken through a planning application for 70 residential properties, which will come to fruition this year.